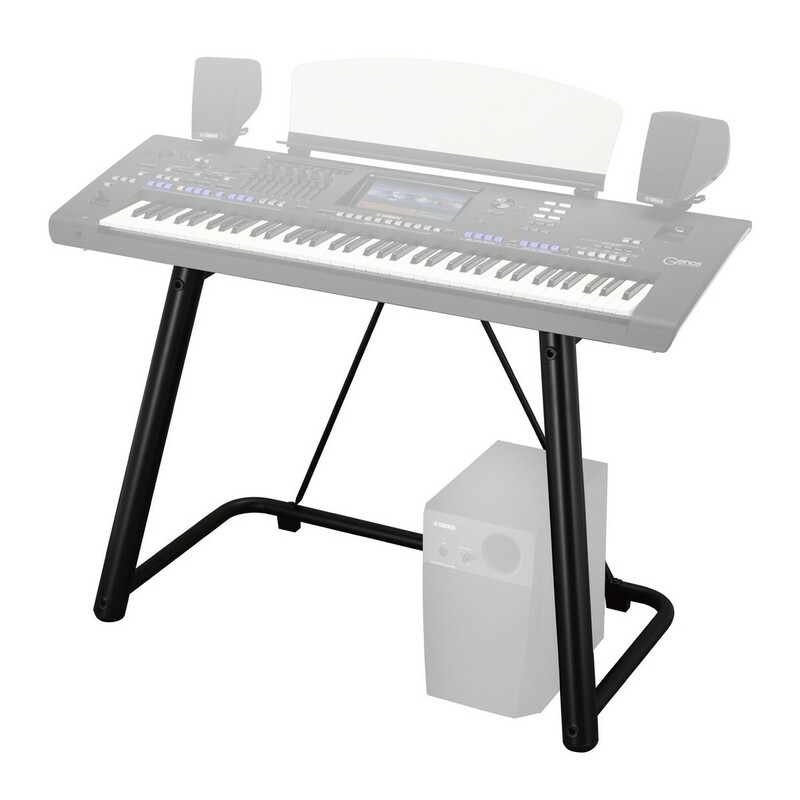 The Yamaha L7B Stand is made for the Genos arranger keyboard. 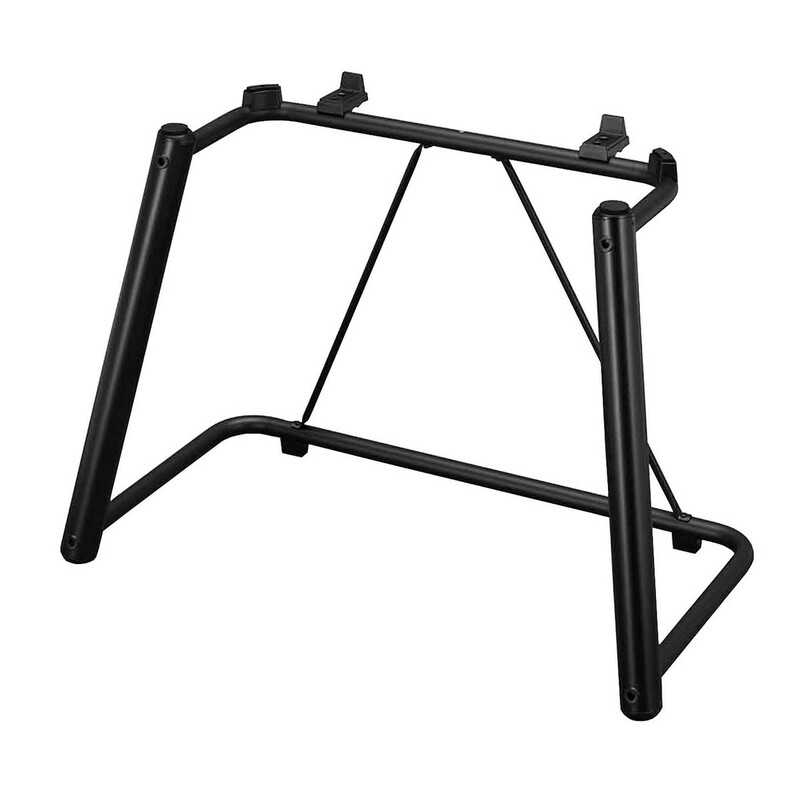 The stand's sleek, lightweight frame takes up minimal space on stage. The L7B's arms slot underneath the Genos to sturdily support it, whilst the subtle back plate prevents it from rattling. This model's compact frame is a portable design, making it easy to take between gigs. Strong legs hold up the keyboard whilst leaving plenty of legroom to play while seated. The keyboard sits securely on the stand, supported by thick foam pads for maximum security and reliability.